the obsessive imagist | art, design, life: SUPER iPAD? 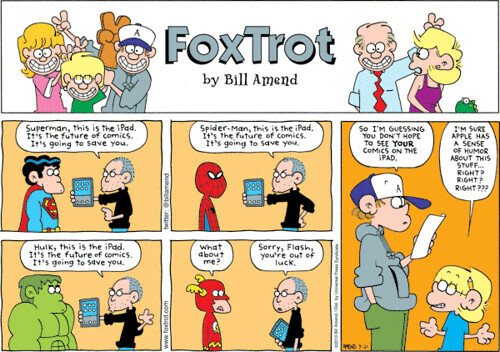 I read this Foxtrot comic this week and I had to share it with you (though it is slightly out of the blue for this blog). It makes fun of the fact that the iPad, like the iPod Touch and the iPhone, does not have a flash player. So I guess it does fit in to my obsession with the iPad.